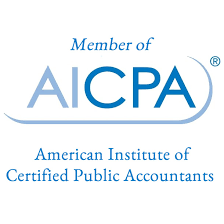 CPADayton is a full-service certified public accounting firm located in Kettering, Ohio. For more than 25 years, the staff of CPADayton has been committed to assisting businesses and individuals in achieving financial success. Our staff has significant experience in both individual and business tax preparation, payroll, accounting services and business consulting. With expertise in a wide variety of businesses including distribution, manufacturing, construction, hospitality and medical/dental practices. The accountants at CPADayton desire to become an integral part of your team. In addition to the services discussed above, we also offer extensive computer systems experience with QuickBooks as well as more advanced accounting systems. Our staff specialists are available to provide technical assistance to your accounting staff, including the implementation of new accounting procedures and financial accounting standards, the structuring of internal control systems, and researching financial reporting issues.